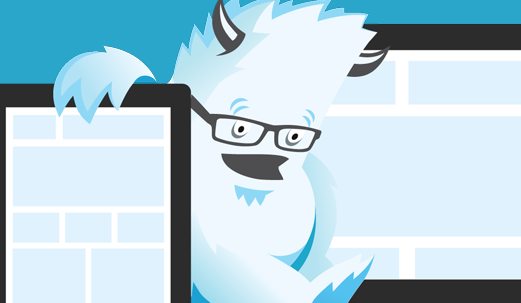 We’ve been a fan of ZURB for quite some time, and Foundation is no exception. Today, the company is releasing Foundation 3, a completely rebuilt framework based on SASS (note: not CSS), with a rewritten grid, new navigation and tab styles, more “robust” forms and more. A lot has changed…in a really good way. More than anything, it looks like this release is much more polished, and also has a greater emphasis on typography by paring it with a house-made modular scale. Additionally, with these new additions, ZURB has stated that much of the syntax has gone unchanged, making it an easy upgrade for anyone already invested in version 2.2 or earlier. Foundation helps people think through design challenges and reduces their implementation headaches. They are working off something that has been thoroughly tested across devices. It’s a great starting point that encourages ideas, but it’s also an implementation tool that gets things done for multiple devices. It’s user-friendly and keeps the overhead at a minimum. Designers will love that it’s highly customizable and allows their creativity to shine. Marketers and Engineers will love that it streamlines development and opens up huge audiences for their products and services. If you haven’t used Foundation before and aren’t the kind of designer/developer that’s interested in discovering new ways to streamline development or explore emerging technologies before they’re ready for IE 6-8, this may not be for you. It really does feel like there’s an endless supply of frameworks, boilerplates and grids out there; enough to make your head spin — but only a few of these time savers are actually worth playing with, and that short list includes Foundation 3. I’m personally excited to keep playing with it over the weekend (#nerdcred). Check it out via the link below and share your thoughts in the comments! For more on ZURB, you might want to look at our reviews of Clue, Verify, Strike, Notable, Reel, Spur, Axe and Solidify. As you can see, this team is a god damned powerhouse, and we love them for it. Read next: Project Glass is absolutely a mainstream product, and not just for "oversharers"